En route home now after a very busy 'business and pleasure' trip. Said farewell to my New Zealand friends before heading for Auckland airport. The interview was with Catherine Harris. You can read the full story on the link. I've had a great welcome here in New Zealand. Earlier this week, I was interviewed live by RadioLIVE New Zealand. Today, it was time for the big speech to a packed house at a wealth seminar in Auckland. It was a great experience and it was wonderful to meet so many enthusiastic businesspeople. 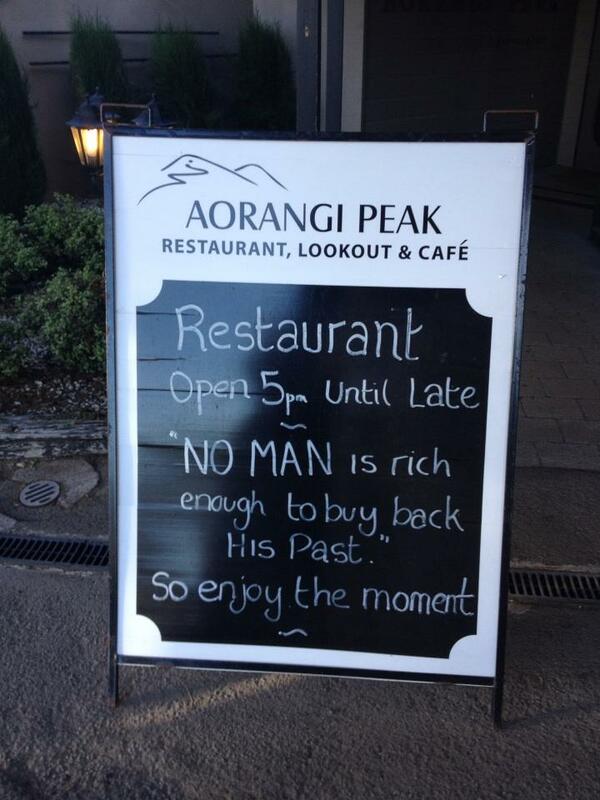 PS: Enjoyed this chalkboard outside a local restaurant - "No man is rich enough to buy back his past, so enjoy the moment!" 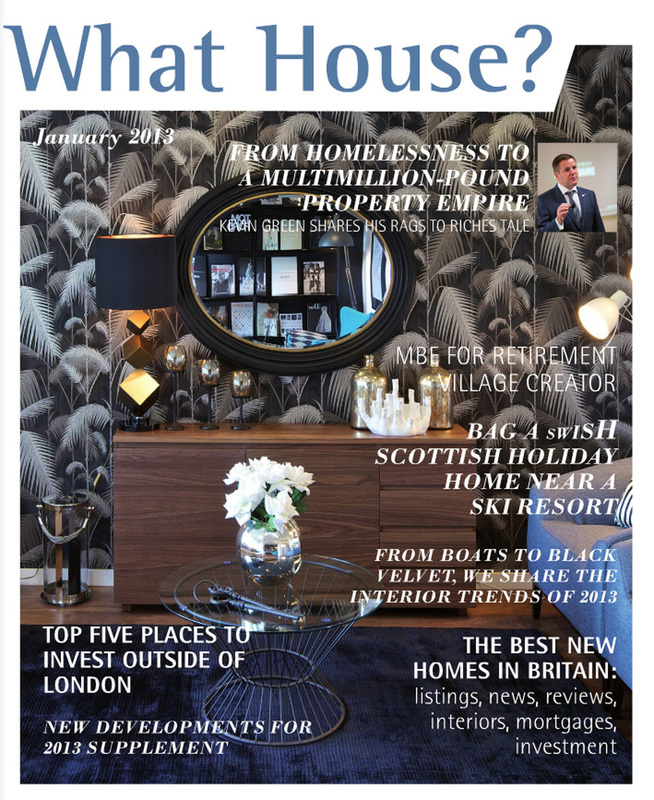 It was nice to talk to Laurna Robertson of What House? magazine. 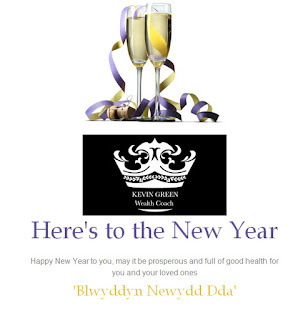 Worth checking out Swansea Bay Business Life magazine this month. There's a nice story about the time I shared a stage with former USA President Bill Clinton. And I'm featured in the regular 'The Soap Box' column, talking about New Year's resolutions. This is very much a business and pleasure trip. I have flown out to Auckland in New Zealand (the Emirates business lounge at Gatwick is very classy, by the way) to speak at a wealth seminar and attend a friend's wedding. More news when I come around from the jet lag! This is the second time in 12 months for me to visit New Zealand on public speaking duties. There's 'snow business like snow business', as a pal in the theatre reminds me. Sorry to report that the VIP networking day (scheduled for St Mary's Church in Burry Port for tomorrow) has been postponed because of the snow. It's still snowing here in West Wales and safety first dictates that we have to postone. The VIP Networking Day will go ahead on April 6. Sorry for the postponement, but I am sure you all agree that, in the circumstances, it's best we all stay safe. I will be on Welsh language TV again this evening. The S4C (Welsh Channel 4) magazine show Heno (Tonight) will be screening a feature on the centenary of Aston Martin cars. 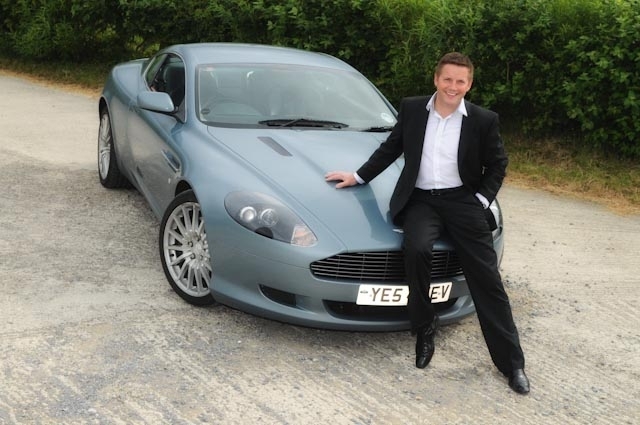 Those who know me, will appreciate that owning an Aston Martin was one of my life ambitions. I am fortunate to be the proud owner of an Aston. Reporter Patricia Lloyd-Evans came along to interview me and she was delighted to get a 'spin' in the car. It goes out at 7pm tonight. 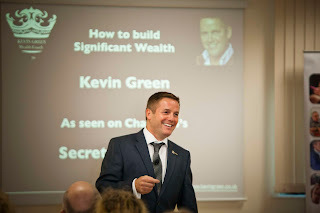 I had a great welcome in Derby for a public speaking engagement for property investors and business-people. Many had travelled from other parts of the Midlands to attend. We raised nearly £2,000 for the Make a Wish charity. The evening was a follow-up to an earlier public speaking date in Nottingham. Grateful thanks to all concerned for a memorable evening. Speaking engagement this evening. Talking to Derby Property Network about setting up high profit businesses.